een different countries and experience distinct realities and cultures. My family always encouraged me to do so. I was exposed to museums, art galleries and exhibitions at a young age, and that was certainly a fundamental influence in my upbringing and visual culture. I graduated in design from Lisbon’s University of Fine Arts. Later, I worked as a creative director for digital projects for almost a decade, before deciding to become a full-time artist. During my college years, I took painting lessons on the side, in the studio of a Portuguese artist who had a very traditional, old-school approach to oil painting. Although my current work is basically a deconstruction of those strict rules and methods, that certainly helped me understand the foundations of a good painting. To be honest, I have always thought inspiration is somewhat overrated. I try not to rely too much on it – it’s more important to be self-aware and mindful of your surroundings. You can draw inspiration from almost anything: a movie that you saw, music that’s playing in the background, some old photos you revisit on your phone…. Having said that, I’m more drawn to the human figure and facial expressions; that’s what I paint almost exclusively. 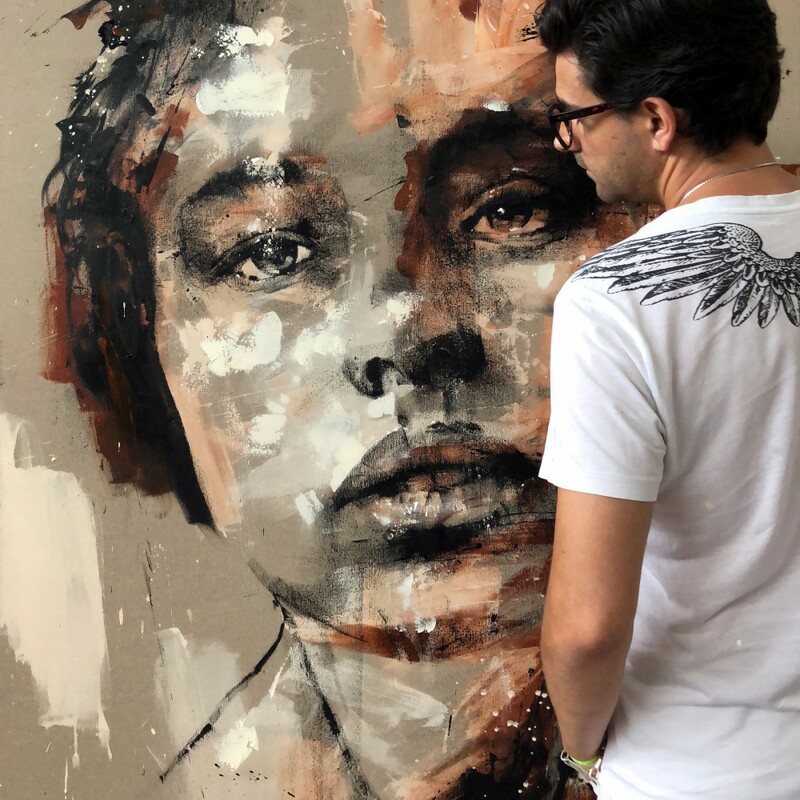 I can be inspired or motivated to paint a face by being exposed to a completely different subject, like an abstract painting from another artist that may evoke an emotion I relate to and then try to convey in my own work. There’s a really nice Austrian painter who coined the term spontaneous realism. I like that, and I can identify myself with that idea, particularly with the spontaneous aspect of it, as I’m very fast and impulsive when painting. That process should be reflected in the painting. You should be able to feel the physicality of the painting process. But this is his definition, so I won’t steal it. I’d say that what I do falls in the contemporary figurativism category, or maybe modern expressionism. There’s also a pop art quality in some of my pieces, in terms of the use of certain primary colours and the depiction of iconic figures, so that can also sometimes be a reasonable definition. 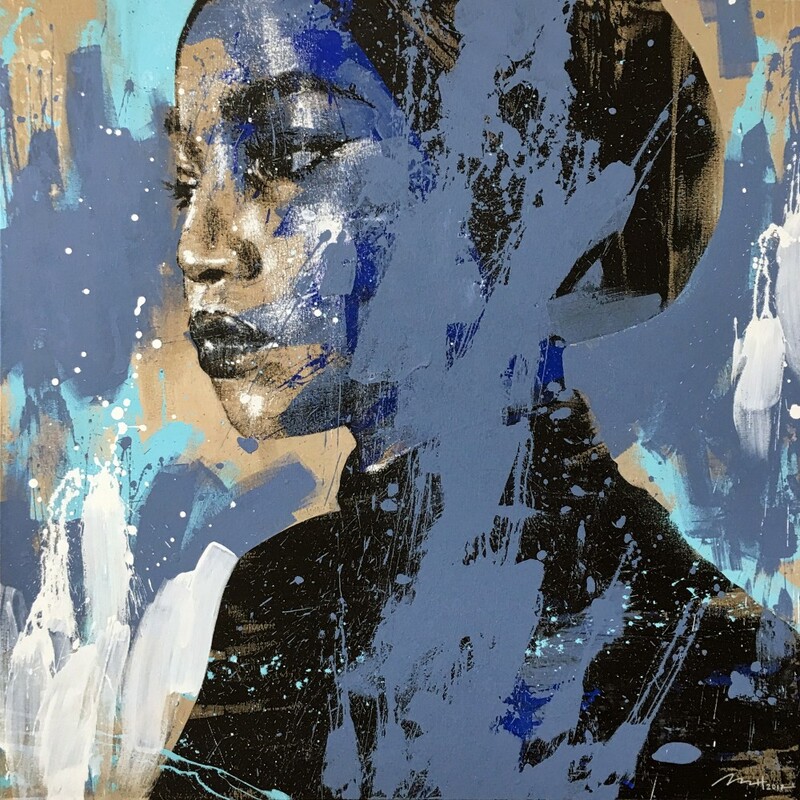 I’m not very concerned with trying to accommodate my painting in a specific category – that is a job best left to the public and to their own personal references. Most of my clients are private collectors in the US. I also have clients in South America, Asia and Europe, including some local clients in Portugal, of course. 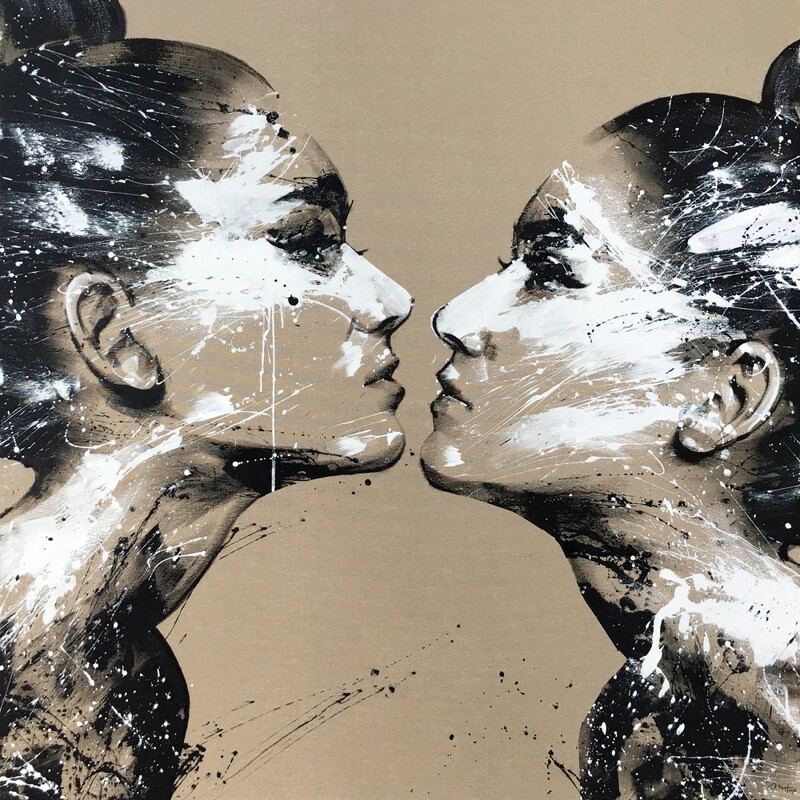 I work with different materials, like large-scale canvases and small acrylics on paper, so consequently, my client base is very eclectic – from high-profile individuals and some celebrities to the general public. I don’t do that many shows. At this point, I’m only engaging in one show per year. It takes me many months to prepare for an exhibition, so I prefer to focus on one at a time in order to create a consistent body of work. I’ve exhibited in Germany and in Brazil, and I just came back from a show in the US. Next year, I’m exhibiting locally, in a gallery near Sintra, Portugal. Aside from my studio, which is a large and isolated warehouse, I have a small personal gallery at the Marina, in Cascais (Portugal), where there is a permanent exhibition of my paintings, which I keep rotating from time to time. I did a show called “Somnium,” which is Latin for “dream,” where I depicted the faces of people who were lost in their thoughts, in a dream-like state. From then on, I revisited my “Materia” series, which is mostly large-scale feminine portraits, and I’m still going on about them, always working on 3 or 4 pieces at the same time. 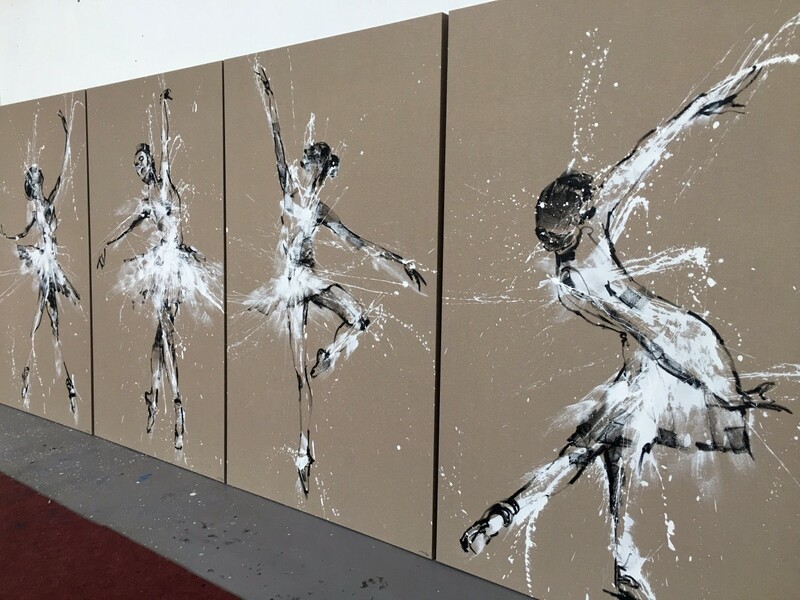 I also continue to paint my “Ballerinas,” which is a series of smaller works exploring the spontaneity and abrupt movements of ballet dancers. Although there is a sense of proudness when I successfully complete one of these pieces, I try not to dwell on it or fall in love with any of them. I believe only the “next artwork” deserves my full devotion and interest. William Stoher and Lionel Smit create incredibly deep portrait paintings. The “Separated Land” series by Fernando Gaspar is wonderful to get lost in. Basquiat is also an influence of mine, for sure. The bold minimalism of Robert Motherwell’s pieces is something I can’t get enough of.